Our team has a long history of serving as advocates to provide guidance and confidence to assure that your child finds the most nurturing environment in which he or she can fulfill dreams and find success. Deep knowledge in youth education, character and golf training development. With a reputation of integrity and accomplishment, we have a unique history of founding and building academies with leading cultures that deliver golf training and education that have made a difference in our student’s lives. Andrew Summers was born in Nigeria and grew up in South Africa, countries that his father served in as an educational missionary. He returned to his homeland of Scotland to complete his high school education then went on to earn his undergraduate degree and chartered accountant qualification at St Andrew’s University, Edinburgh University and Heriot Watt University. He then spent twenty years in the investment management industry with Morgan Grenfell, Morgan Stanley and Silchester International Investors, a company that he co-founded in 1994. 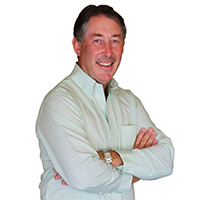 Andrew retired from a successful finance career in 2006 to focus his time on his true passion - sport and education. Since his early days as a teacher of math and physics at Strathallan School and as a tennis coach, Andrew has been interested in coaching and developing young people. Having been involved as a partner in golf academies since his retirement, Andrew has a vision to raise the standards in the industry and improve product quality. His philanthropic endeavors are extensive and include supporting schools in South Africa, the USA and Mexico, participating in leadership development in the Middle East and supporting junior sports organizations. Lee-Anne Misseldine was born in Wellington, NZ, but considers Durban, South Africa, her hometown. Raised on the Indian Ocean she spent her teenage years nurturing her love of the water as a lifeguard and water sport enthusiast. Lee-Anne earned her degree in South Africa and in the United States, pursuing her interest in theology and biblical studies. Early in her life she had a desire to be full time in ministry to follow her passion for giving back and helping others. Although her path changed, she firmly believes that we all have a mission, regardless of our profession or career choice, and by following your purpose you find fulfillment in your life. Returning to South Africa, Lee-Anne started her professional life in the non-profit sector working for World Vision, the international development and advocacy organization. Her tenure working with the impoverished children and families of South Africa formed her empathy for people. Lee-Anne accepted a position in marketing and promotions for the South African Department of Children and Families. In that capacity she worked on numerous national campaigns and marketing events to drive awareness and support for the cause. After relocation to the United States, Lee-Anne found a passion for business in the publishing world. Quickly rising through the ranks at Knight Ridder Inc. from Sales and Marketing Manger to an executive director position, Lee-Anne took on the challenge of newspaper growth in a highly competitive environment and a declining industry. She rose to the task, contributing to unprecedented growth during her tenure. In 2009 a long time dream became a reality when Lee-Anne and her partners started the Gary Gilchrist Golf Academy. Starting with just a dream to create a unique environment for athletic development, this winning team created an academy that quickly grew faster than any junior golf program in the industry to date. Her success is driven by a love and care for people and her desire to create teams that are powerful of purpose and like-minded of vision. Lee-Anne has served on numerous boards including Junior Achievement, United Way and the American Cancer Society. Darcie D. Patrick is a Midwesterner – born in Michigan and raised in Indiana. Darcie is a graduate of Elon College, B.A. She worked in the fields of marketing and advertising before pursuing graduate studies at Indiana University-Purdue University Indianapolis (IUPUI) to pursue an encore career in education. She has served in the education field since 1996, where she began as a high school teacher in the Indianapolis Public School System. Darcie is a veteran educator, with 22 years of experience in the field of education including: teaching and administrative leadership roles in both public and private schools, college planning and admissions consulting services to domestic, international and first-generation students. Darcie has worked in private school admissions/administration on Hilton Head Island, South Carolina for nearly a decade. In 2012, she retired as Head of School from Sea Pines Montessori Academy. Since then, she has been working as a College Admission Strategist and founded her own college consulting firm – College HHI. She has been a featured speaker at educational conferences and broadcast on television and international radio on the subject of education. Most recently, she was featured as a one of four Women of Distinction featured in Elysian Magazine. 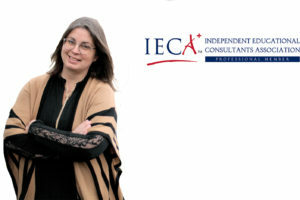 In addition to being a Professional Member of the Independent Educational Consultants Association (IECA) she is also a Member of the National Association for College Admission Counseling (NACAC). On a personal note, Darcie and her husband Kevin met in college and are parents to three children – Ella (20), Hake (16) and Jeep (12). She is a Past President of Hilton Head Rotary – VanLandingham and the Rotary District 7770 recipient of the Vocational Service Award. Darcie loves to spend time with her family and their two dogs. She enjoys camping, paddle boarding, watching the sunrise over the ocean, photography, watching Hake play lacrosse and caddying for Jeep. Darcie loves the smell and taste of freshly roasted coffee...an afternoon pour-over is her brewing method of choice. Andres Vera was born In Caracas, Venezuela March 3, 1981. In 1994 he immigrated to the United States with his family to Miami, Florida. There, he was introduced to golf and fell in love with the game. Andres worked as the assistant golf professional at Gainesville Country Club under the tutelage of Cary Splane. He also worked as the Assistant Golf Coach for Bucholz High School and trained junior golfers like Bobby Gates (PGA Tour Player) and Tyson Alexander (UF team member and Hooters Tour player). After that, he went on to become the assistant golf professional at River Hills Country Club in Tampa, Florida, and then became the head golf professional at the same club. Andres has also played in many mini tour tournaments throughout his career as a golf professional in tours such as the Hooters Tour, Florida Professional Golfer’s Tour and the Moonlight Tour. Andres’s background and customer service experience makes him an integral asset to our sales team at Bishops Gate Golf Academy. 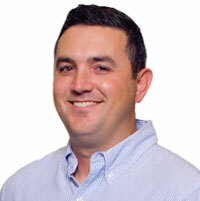 Andres graduated from the San Diego Golf Academy in 2000 with a degree in business with an emphasis in golf management. He then went on to graduate from the University of Florida with a degree in business administration. Laura Lawrence’s 25 plus year career parallels the evolution of the sports academy business. As Director of Marketing, she championed IMG Academy from its inception all the way to a global multi-sport training & education brand icon. Laura managed all facets of the IMG Academy marketing and brand experience. She developed global PR/communications programs for multiple sports, and was selected to serve on IMG’s Global PR Council. A key member of the IMG Academy Consulting Team, Laura created intellectual property manuals to export IMG Academy’s training philosophy to locations around the world. Laura’s folio of work focuses on brand and business vision, digital first communications, authorship and publishing advisory, creative collaboration, team leadership and successful execution of cross-channel content. If you an individual or organization working with families to find boarding schools and camps, who can benefit from working with the team at IJSA, we would like to hear from you.